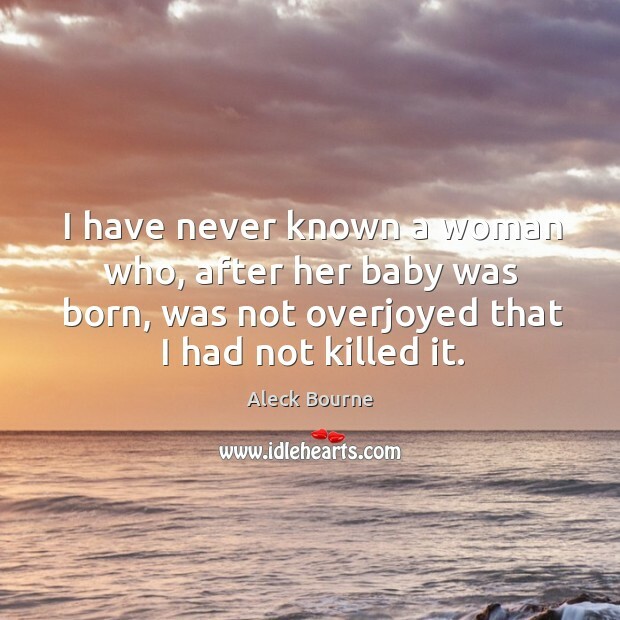 Enjoy the best inspirational, motivational, positive, funny and famous quotes by Aleck Bourne. Use words and picture quotations to push forward and inspire you keep going in life! I have never known a woman who, after her baby was born, was not overjoyed that I had not killed it.